As of April 25th, I’ve only worked 7 days this month! Of the 18 days I’ve had off in April, I’ve only been here in Kuwait for 2 of them! There are 4 weekends in April, and I haven’t been home for any of them! During the month of April, I’ve slept at 6 different hotels! I’ve been pretty fortunate to do so much traveling this month! One of the main reasons we decided to move overseas was to enjoy the ease of visiting and exploring so many new places. This weekend I took a trip with some friends to Abu Dhabi, in the United Arab Emirates. If you recall, Rachel and I spent a few days there last October for my birthday. (you can refresh your memory by reading HERE) I went this weekend to umpire at a high school baseball/softball tournament. Rachel was going to accompany me again this weekend, however she was super, super, I mean SUPER busy growing a human! 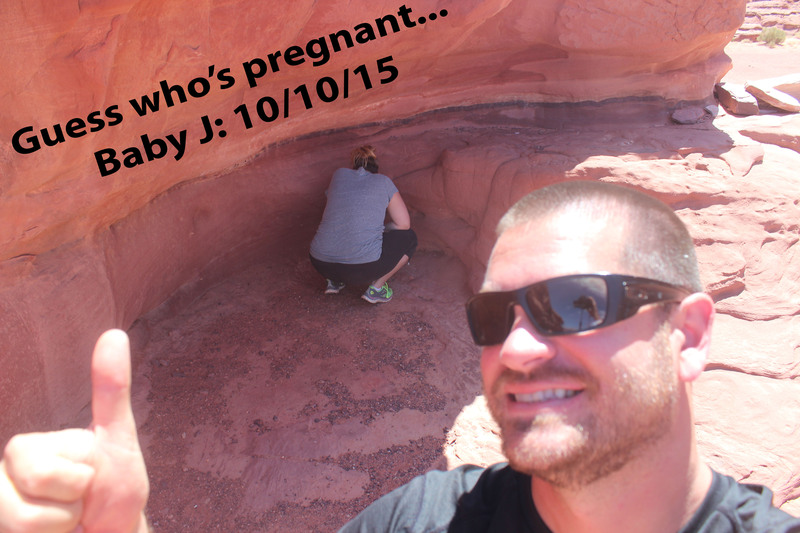 We figured it was best for her to just chill out, relax, and take care of Baby J. At the tournament this weekend, there were schools from Dubai, Abu Dhabi, Qatar, Oman, and India. I called a total of 15 games in 3 days! It was super hot outside, but a great tournament and a fun experience to do some more umpiring at another international tournament! I’m sure most of you saw the picture that Rachel posted last week regarding our exciting news . . . . we’re having a baby! We couldn’t possibly be more excited! It has been hard to keep it a secret for so long, however we now feel comfortable enough to share the news with all of our family, friends, and the people who read our blog. It is difficult to keep your excitement tucked inside for so long! When the doctor confirmed the pregnancy a couple of months ago, I just wanted to run to the highest point around and scream at the top of my lungs “I’M GOING TO BE A DAD!” However with pregnancies, we know there comes risks. So we just wanted to wait a while to make sure that we had a healthy lil’ person growing inside. I’m a huge sports fan, and thankfully because of the internet, I’m able to keep up with all of my favorite teams from back home. I’m super pumped that the Minnesota Wild have advanced to the next round of the NHL Stanley Cup Playoffs! Their next opponent is the Chicago Blackhawks, who just happen to be the favorite team of a few of my close friends here in Kuwait. I have a feeling that that there is going to be a lot of trash talking, bantering, and sleepless nights as we stay awake throughout the night to watch the games live online! Go Wild! We have officially started our countdown until summer . . . . . . we only have 46 more days until we fly back home for the summer! It is still incredibly weird how fast this year has gone by. It is crazy to think that May 1st is this weekend, when it seems like we just moved here. We are getting super excited to see all of our friends and family this summer, and can’t wait to spend some time at the lake! That about wraps it up for this week folks. Luckily I don’t have the shakes this week, because I’ve been able to drink for 16 of the last 25 days!! (hahaha) Until next time . . . . . . .
We had a great time in Dubai last weekend! I was there for 4 days, while Rachel joined me a day later. I was busy umpiring at a baseball tournament for the majority of the weekend, and Rachel was able to enjoy a much deserved weekend of rest-and-relaxation. At the baseball tournament there were teams from Australia, Singapore, Kuwait, Saudi Arabia, Jordan, Qatar, Bahrain, Dubai, and others. It was a great tournament and I had a ton of fun! I snapped a few pictures and have a few fun stories that I’ll share with everyone soon. A few weeks ago, we started watching the new season of our favorite tv show . . . . . . . The Amazing Race with a group of our friends. It has become a weekly routine now, where every Tuesday night, all 6 of us get together to watch the latest episode. At the beginning of the season we all picked a team that we were going to root for, then whichever team wins, that person gets a prize! It definitely adds a little more excitement to our weekly tv show viewing parties, but more importantly it’s all about getting together with a group of some of our closest friends for dinner on a weekly basis. A group of teachers organized a Fantasy Hockey League last fall, prior to the start of the National Hockey League (NHL) season. I’ve never played fantasy hockey before, but I thought it would be fun, so I decided to give it a try. Our season wrapped up this week, and I’m excited to announce that I finished in 3rd place out of 10 teams! Obviously it was all luck, but I’m pretty pumped about how I finished the season up! The last week or so, we have definitely noticed that weather is starting to get hotter outside! The weather is absolutely perfect for a majority of the day, but for a couple of hours each day it is smoking hot outside. The highs have been getting into the mid-90s each afternoon, which has been feeling great. I wish these temperatures would stick around until we leave in June, however we know that summer is quickly approaching. And of course, with the arrival of summer, we know that temperatures in the 100s will be here soon. Thanks for getting together for another weekly edition of our Monday Happy Hour, we’ll see you all again next week! We had a blast last week during our Spring Break trip to Jordan. It was a week jam packed of adventures, memories, and laughter that we will never forget. Here is a little insight into our trip: When we proposed the idea to my parents of taking a trip to Jordan, I think one of the first things they said was, “where is Jordan?” Many people, especially Westerners, haven’t even heard of it before. 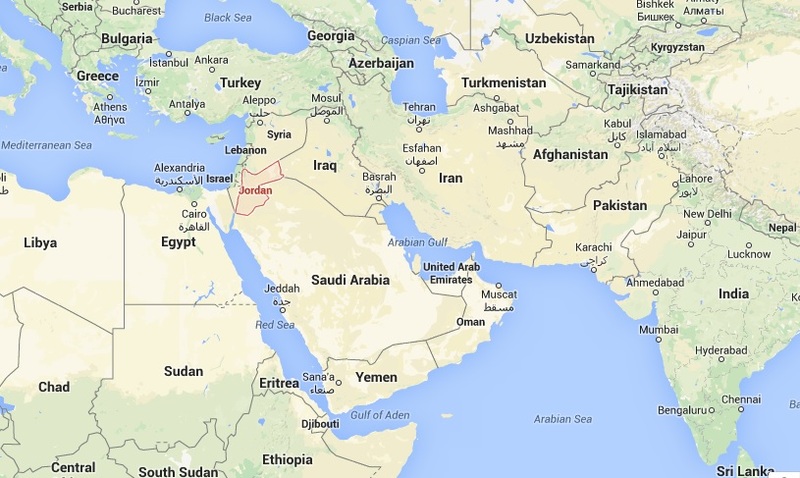 If you look closely at the map, it is a little country tucked in between Israel, Lebanon, Syria, Iraq and Saudi Arabia. It was never really high on our list of “Countries To See,” until we moved here to the Middle East. So many of our friends here have been, and highly recommended it! Here is a little bit of a closer view. 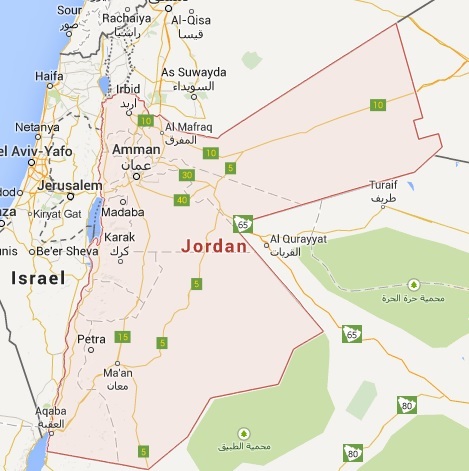 The capital of Jordan is Amman, in the northern part of the country. A majority of the population lives along the west side of the country, from Amman south towards the Red Sea. 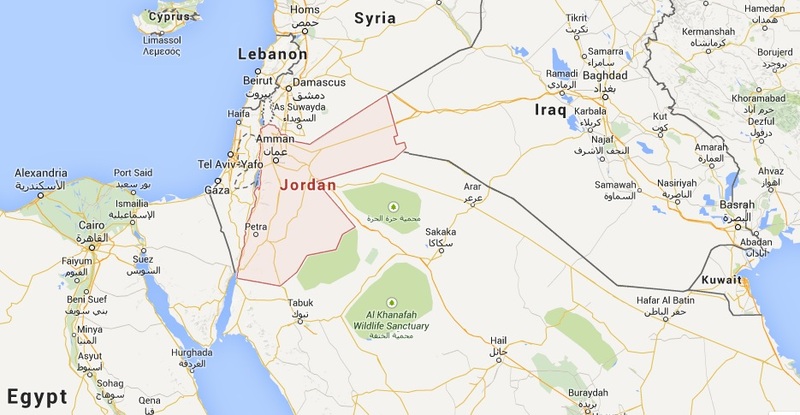 Jordan is a Muslim country, however it is not as conservative as Kuwait or Saudi Arabia. Also, unlike their neighbors, Jordan has no significant petroleum resources of its own, so it is not as wealthy as some of the other Middle Eastern countries. Their country relies heavily on tourism, which has taken a major hit the last few years because of what we call the “CNN Effect.” Everyone in North America who turns on their favorite cable TV news channel, will hear nothing but negative things about the Middle East and the instability because of the emergence of ISIS. I will be clear, not one time did I ever feel unsafe in Jordan! It is a beautiful country and everyone was so friendly! Based on our research, we decided that renting a car was going to be our best bet for our trip. We had so many places that we wanted to visit, and relying on public transportation and timelines was not going to work for us. We read online that the driving in Jordan can be scary, however I would consider it super calm based on what we encounter on a daily basis in Kuwait! Below is a map of the route we took. We flew into the capital city of Amman, then headed south towards the Dead Sea. 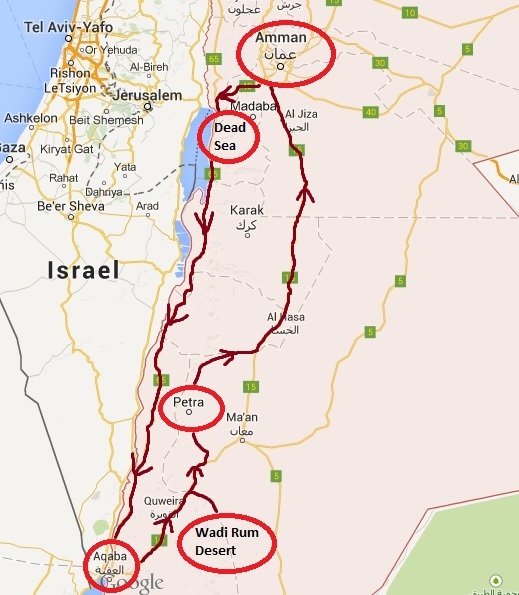 After one night there, we continued south along the Israeli border to the resort town of Aqaba, located on the Red Sea. 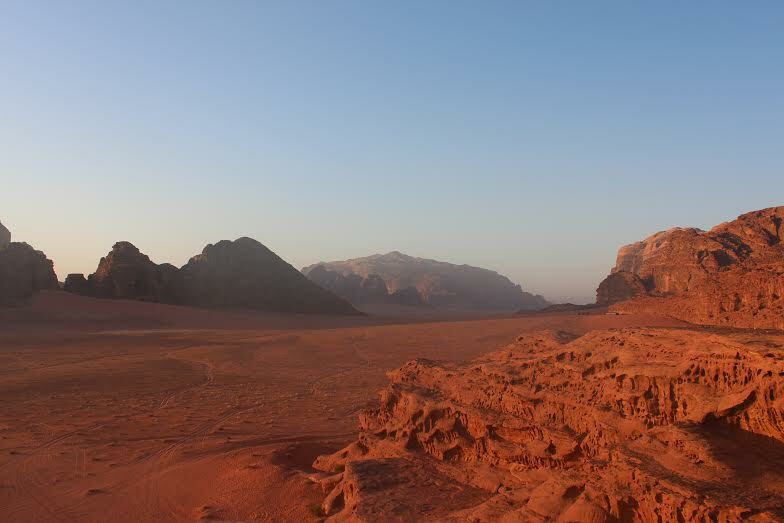 We spent two nights there, before we started our trek north to the Wadi Rum Desert for two nights of camping. We then headed to Jordan’s crown jewel . . . . . Petra! We spent two nights in this ancient city exploring one of the 7 wonders of the world, before we headed back to Amman to fly out. The surface and shores of the Dead Sea are 1,407 feet BELOW sea level, making it Earth’s lowest elevation on land. It is 997 feet deep, the deepest hypersaline lake in the world. In 2011 the salinity was measured at 34.2%, making it one of the world’s saltiest bodies of water. It is 9.6 times as salty as the ocean. Its high levels of salinity make for a harsh environment in which plants and animals cannot flourish, hence its name: the Dead Sea. The cool thing about the high levels of salt, is that you float on the surface! Anyone who knows me, knows that I am a sinker, I cannot swim nor float! So I thought it was super cool when I walked in, and just started bobbing on the surface of the water. Here is a picture of me standing like a pencil, and just floating there without any effort. It was a super cool experience, that I recommend to everyone. 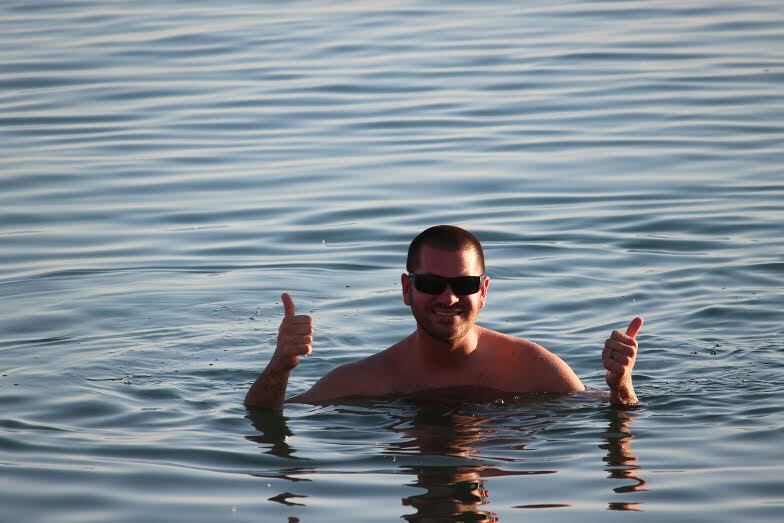 Me standing upright, FLOATING in the Dead Sea. Before we headed to our next destination, we stopped at the site along the Jordan River where Jesus was baptized by John 2,000 years ago. For so many years it was a lost site, until recently it was discovered, authenticated, and now visited by hundreds of thousands of visitors from all over the world. 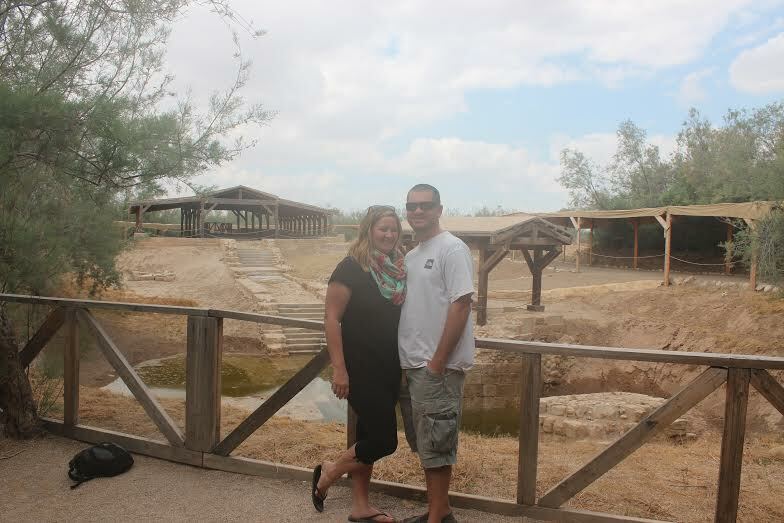 Rachel and I at the baptism site of Jesus. After our time around the area of the Dead Sea, we headed south to Aqaba. We drove along the Israeli border for about 3 hours until we reached our destination. Aqaba is located on the point of the “right fork” of the Red Sea. 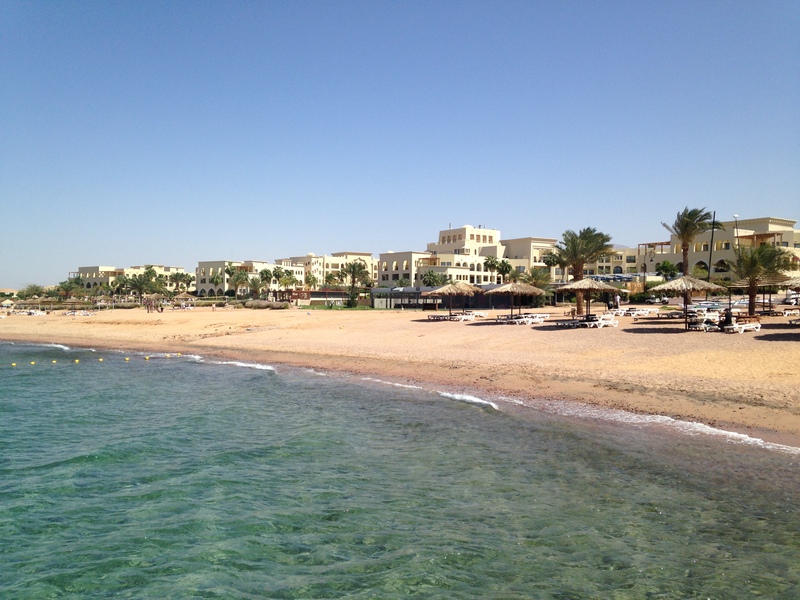 We stayed in a beautiful resort area called Tala Bay. I highly recommend this place! We rented a condo on the beach, and had a relaxing couple of days. After a few relaxing days at the beach, it was time to kick our vacation into high gear. We headed north to the Wadi Rum Desert, where we witnessed some of the most incredible views I have ever seen! It is a fairly flat desert with red sand, and gigantic rock formations scattered around hundreds of square miles. We spent a day and a half cruising around the desert and hiking through some slot canyons, to a natural water spring, and to the top of a few arches. We had a great time camping in the desert and playing in one of the coolest “sand boxes” in the world! A picture I snapped during one of our hikes. It is a good view of how flat the desert ground is, yet huge mountains protruding from the ground. Before we left for Jordan, my parents flew to Kuwait to visit us for a few days. They had a great time (I think) seeing where we live, work, and some of the sights around Kuwait City. It took a couple of days for them to get acclimated to the time change, but they were rockstars and fought through it. While they were here, we took them to the Souq (an outdoor market), took a tour of the Grand Mosque, and spent a day at the beach. Of course the best part was just seeing them and spending time with family! On April 1st, Rachel and I celebrated our 3rd Wedding Anniversary! It seems like just yesterday, we were tying the knot on the beach of Puerto Vallarta. We celebrated by going out to dinner with my parents and a big group of our friends. It has been an amazing 3 years full of laughter, joy, and adventures. I can’t wait to see what is in store for our next 75+ years together! While in Jordan, Rachel celebrated her 30th birthday! We arrived at Petra on her birthday and had a few drinks at the oldest bar in the world, called The Cave Bar. It occupies a 2,000 year old Nabataean rock tomb. It was super cool there! That evening we also did a night hike to the Treasury inside Petra, where the entire 2 km trail was lit with luminaries along the path. It was a great experience and we took a bunch of pictures we will share with you guys soon. 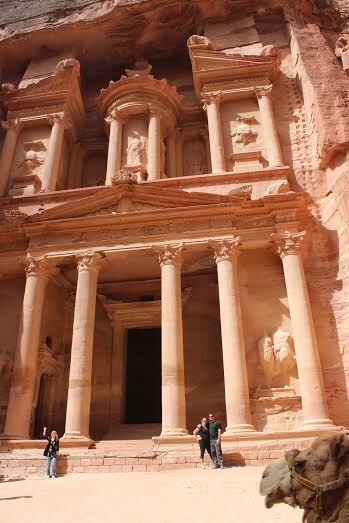 The coolest part about Rachel’s birthday in Jordan . . . . . . . . it was the 20th country she has been to! We returned to Kuwait last weekend, and my parents were able to hang around for about 6 hours before we had to take them back to the airport for their journey home. It was a long trek home for them, but with their flight times, they are able to say that on one day, Saturday, April 11, they were on 3 different continents: Asia, Europe, and North America! I’m only home this week long enough to unpack, do a few loads of laundry, and repack before I head back to the airport for our next trip. On Wednesday, I’m heading back to Dubai to umpire at a baseball tournament. It will be my 3rd trip to Dubai since moving here 8 months ago, but I love that city, and can’t wait to go. Then next weekend, I fly to Abu Dhabi for another baseball tournament! I’ll be gone a total of 4 weekends in a row traveling! 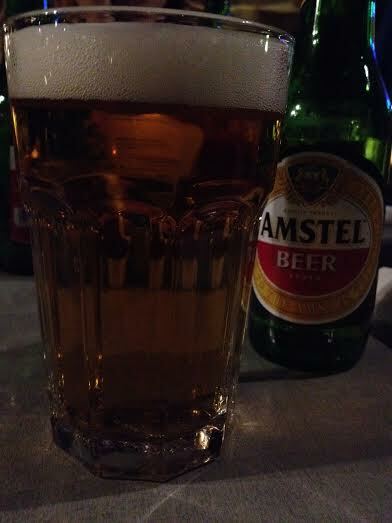 #ournewlifeisawesome It also means that I will be able to drink a beer every weekend during the month of April. Wooooooohoooooooo! We are very excited to share our adventures and pictures from Jordan with everyone real soon. We loved it there, and highly recommend it to everyone! Until next time . . . . . . . . cheers!